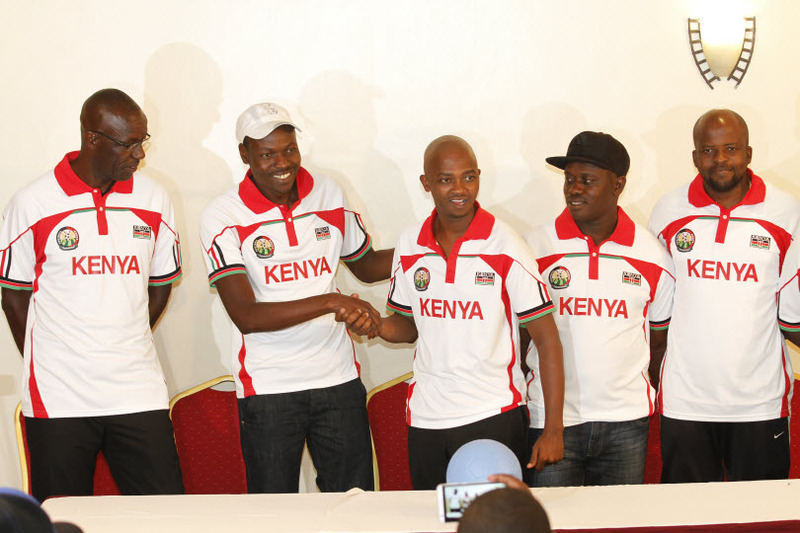 Nick Mwendwa’s election as FKF chair was indeed a breath of fresh air for the long suffering fans of Kenya football. Kenyans had had to endure nearly two decades of incompetent and corrupt leaders like Sam Nyamweya, Mohamed Hatimy, Maina Kariuki as well as absentee leaders like Alfred Sambu. Indeed Mwendwa is the best Federation leader that Kenya has had since 1998 when Peter Kenneth was the chairman. But there is one thing that ruined Kenneth’s legacy and that was the selection of the unproven Abdul Majid as national team coach. It was a misguided attempt at promoting local talent. Majid had been coach at Rivatex FC but his record there was nothing to write home about. He went on to be an abysmal coach for Harambee stars and his coaching career ended. Mwendwa is making the same error with Stan Okumbi. The latter had previously been coach of Mathare United where he resigned due to below par performances. He then became coach at Kariobangi Sharks. But his CV is very thin. Coaches should only be selected to coach national teams when they have paid their dues in terms of coaching at various levels , learning from their mistakes and applying their lessons. It is the same reason even the most intelligent among us cannot go straight from being a University graduate to being a CEO of a major company. Okumbi’s record thus far is clearly not impressive. The single goal wins over teams like Liberia can be attributed to playing at home and to the fact that Harambee stars had much better preparations than they did when Nyamweya was boss. Indeed the best thing Mwendwa has done so far is to always ensure that Stars have proper preparations and play in a sufficient number of friendlies to build cohesion. But he is ruining it all by insisting on having an inexperienced coach. This entry was posted in Kenya Football articles and profiles, Kenya Sports news and commentary and tagged harambee stars, nick mwendwa, Stan Okumbi. Bookmark the permalink.